I've been trying to add an image to JFrame but can't seem to get it done. looked at online tutorials and other similar questions but nothing seems to work... Better use a .png file; .ico is Windows specific. 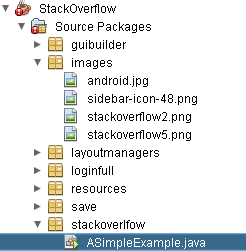 And better to not use a file, but a class resource (can be packed in the jar of the application). Dear Reader, How to change the JFrame Icon (cup of coffee) by one of mine. The icon I have is in "cat.gif" file. Thank you Jawad The icon I have is in "cat.gif" file. Thank you Jawad... But what If I don't want that image to my Frame or dialog. I know the way how to set another image but what if don't want to use Image at frame or dialog. Change window size of a JFrame. To resize a frame, JFrame provides a method JFrame.setSize(int width, int height), it takes two parameters width and height. I've been trying to add an image to a JFrame but I can't seem to get it done. I looked at online tutorials and other similar questions but nothing seems to work.